In the next week I’ll get some new rings and install a leupold 2-7x33mm scope that’s not on A rifle right now. Got my screws got them cut and loc- tight blue on the rifle. Maybe next week I’ll get to the range. This waiting is harsh this time. I will go through what brass I have after the 500 147gr I have is expended. My next order will be I hope 155 or 165 gr. Rig looks real good. I’ve always liked Magpul. 100% feeding from all three mags. Sight in target. First one at 50. 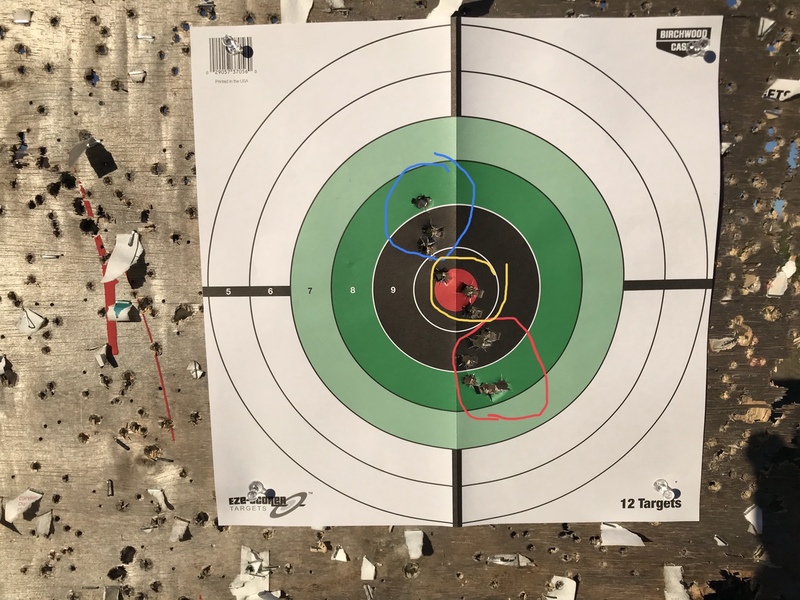 Red group 6 rounds getting used to rifle and just pulling trigger. Blue group adjustment too much. Yellow group dead on. Shooting at 100. Shot 3 then looked through spotting scope and couldn’t recover. Got excited. Got dark after that and decided to leave. 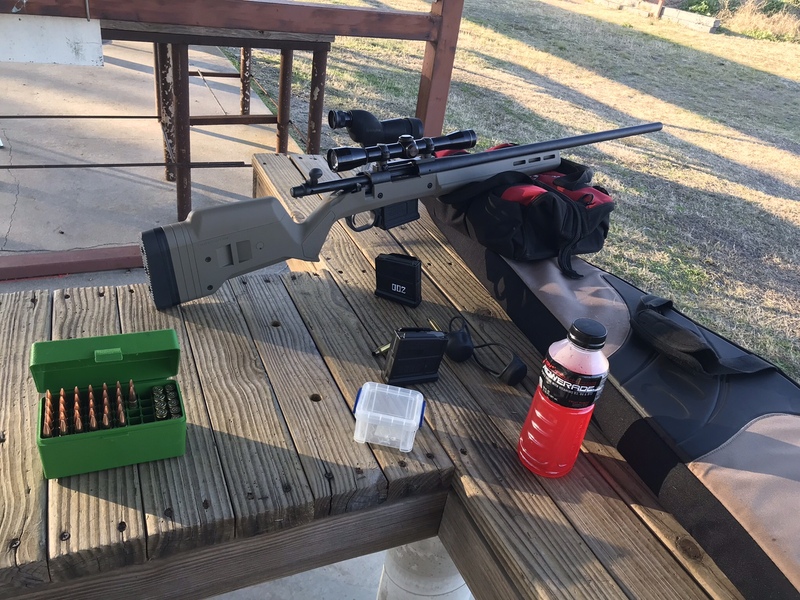 Gonna leave the 4x on for a little til I get used to the rifle. I like the way it looks on there. Last edited by Trigger308; 01-25-2019 at 08:39 AM. That’s 6 shots. 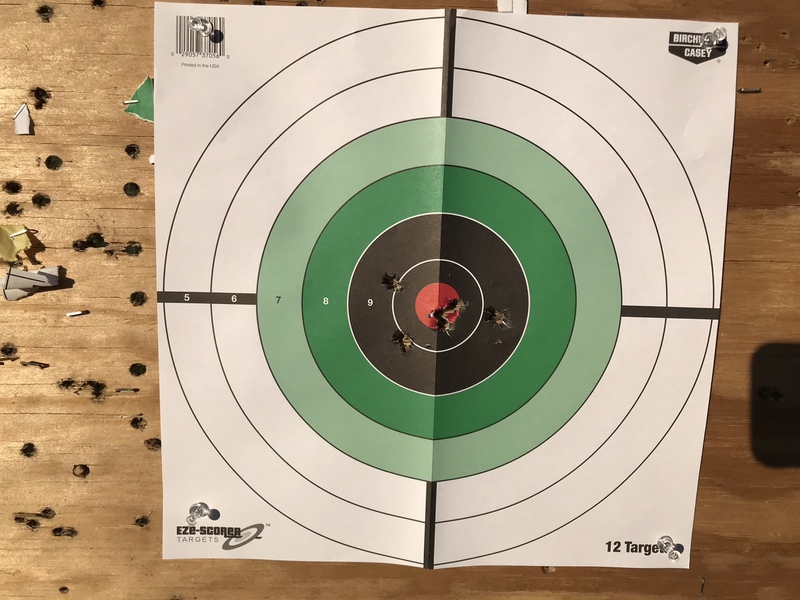 147gr fmj using perfecta brass. What did the group measure? 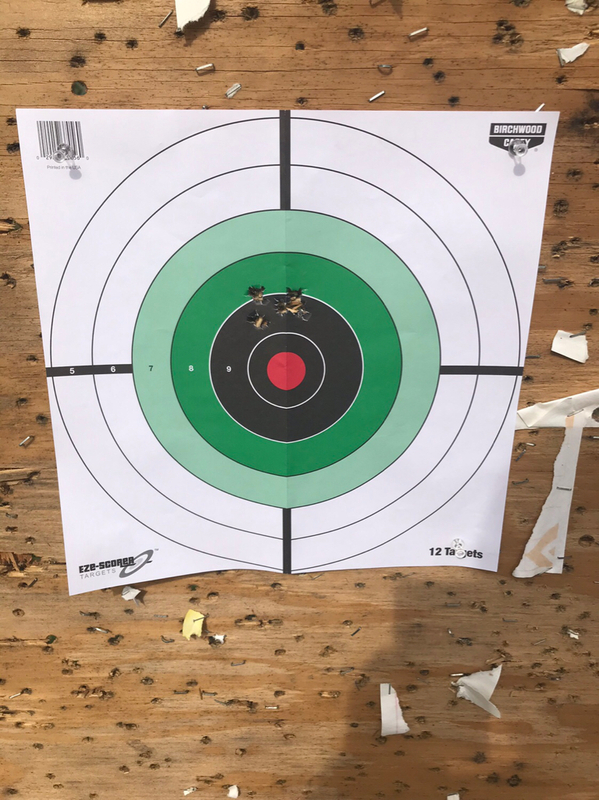 Was this at 100 yards again? Group measures 1.1 inches. 100 yards. Just got my scope leveled gonna sight in again today and see what she does.after this, I’m going to segregate all 7.62 brass and reduce by .5 grain see what that gets me.